Ever wonder what to do with those random leftover party napkins? 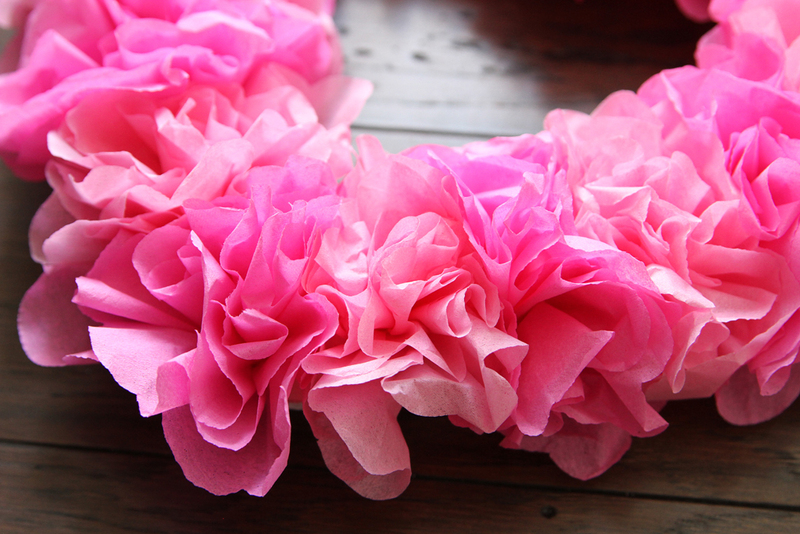 We suggest turning them into a stunning floral wreath! Paper napkins come in a rainbow of colors and make an inexpensive craft supply for all kinds of DIYs. You may not even need to run to the store for this project and before you know it you’ll have a show-stopping wreath for your entrance way. 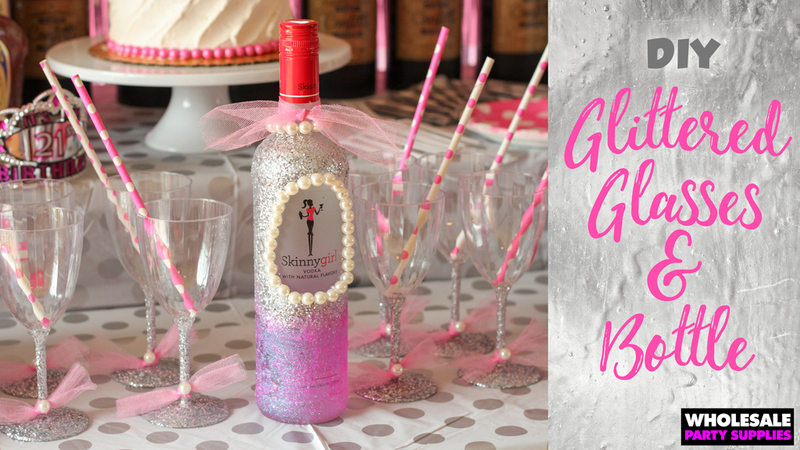 Make a few of them in various sizes to make a vibrant photo booth backdrop for your next holiday or birthday celebration. 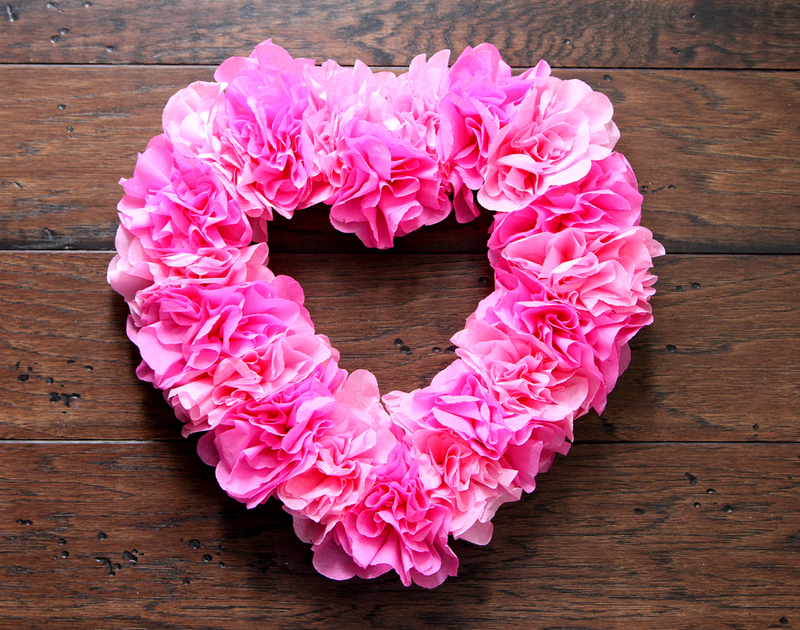 For this Valentine’s Day heart version, we used a combination of pink and hot pink napkins to get this soft and frilly effect. Follow along with the steps below to see how it’s done. We used beverage sized napkins for this project, but you can certainly use luncheon sized too. Obviously, the larger then napkin, the larger the flower. If you choose to use a larger napkin, just be aware that the petals will be less stiff so the finished look may be different. 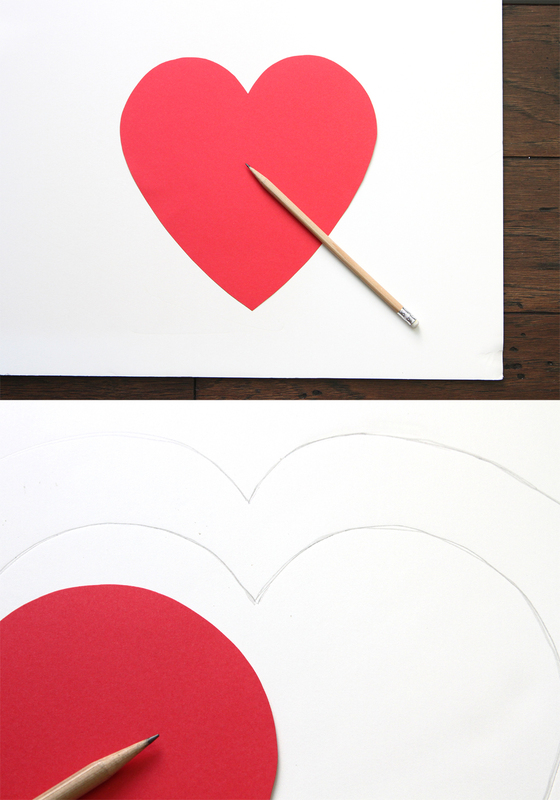 Trace heart template onto the foam core board. 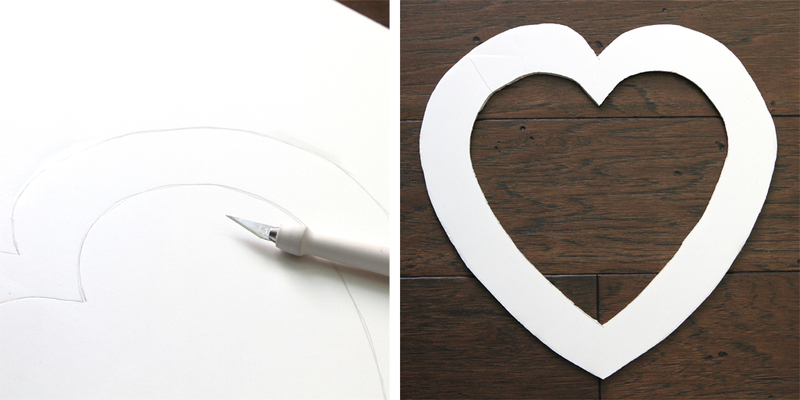 Using the traced heart as a guide, sketch another heart about 1 ½ inches around the outside. 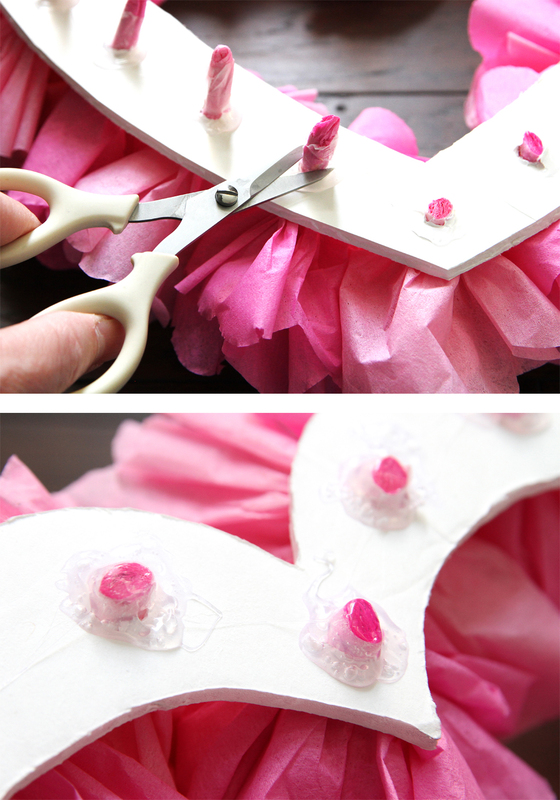 Use the craft knife to cut out the wreath base. Don’t worry about uneven cut lines; most imperfections will be covered. 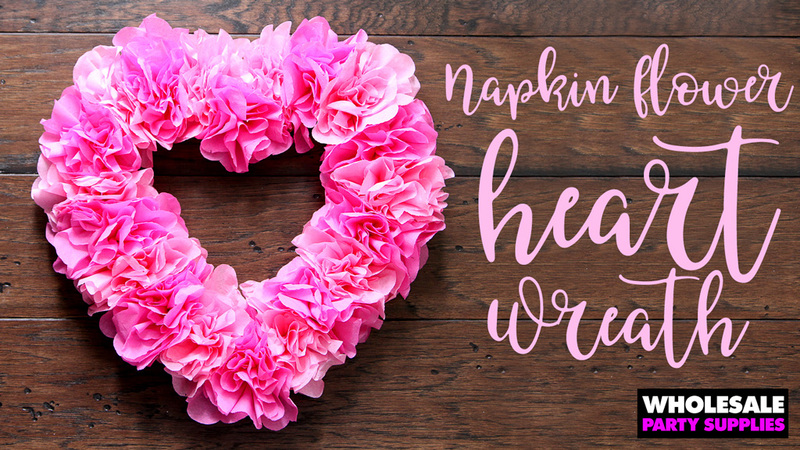 Make a bunch of napkin flowers. For the full how-to tutorial, go here. 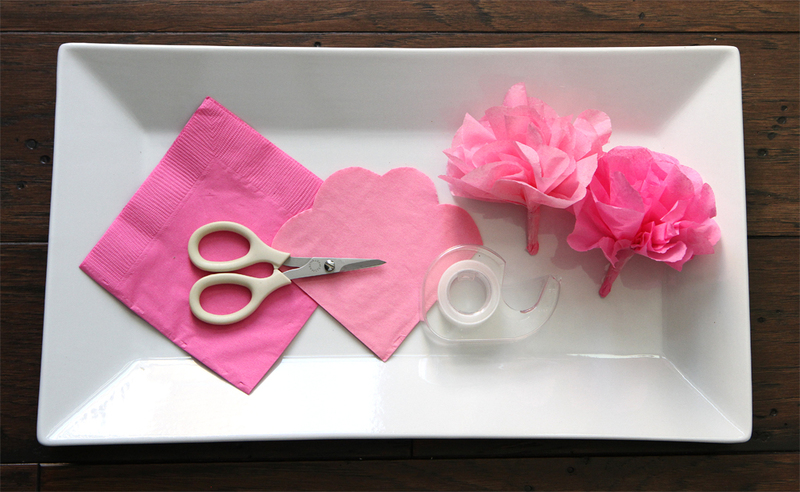 TIP: for a fuller, fluffier look, pull each napkin ply apart before forming the flower. Mark flower placement on wreath base. Use scissors to punch holes through foam core at markings. 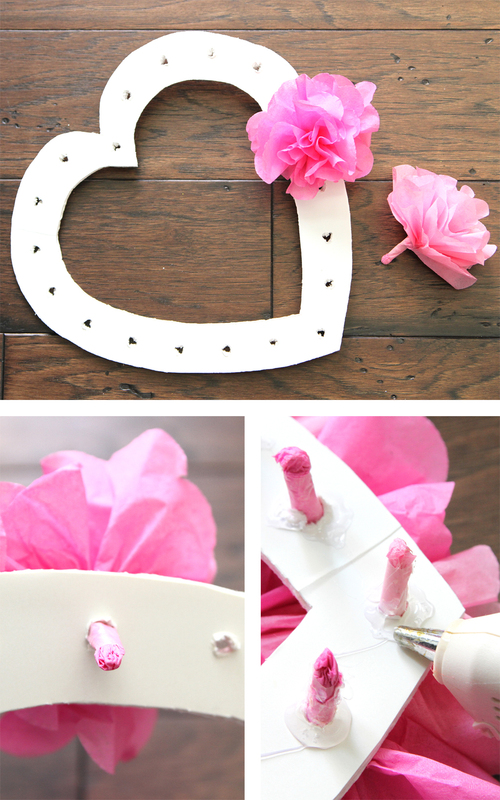 Push flower stems through holes and hot glue to secure. Once hot glue is set, trim stems then add more hot glue to further secure. Fluff petals and distribute fullness to cover any bare spots. 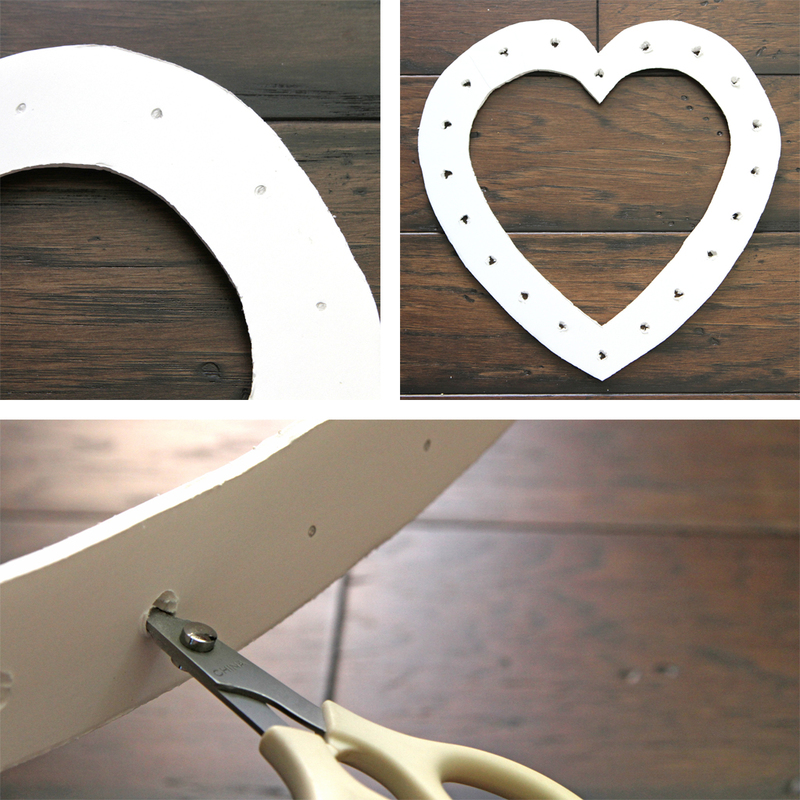 Hang completed wreath from a wreath hanger or attach to a dowel and use as a standing centerpiece. However you decide to use this quick DIY paper napkin flower wreath, show us your version of it on Facebook, Twitter, and Instagram! 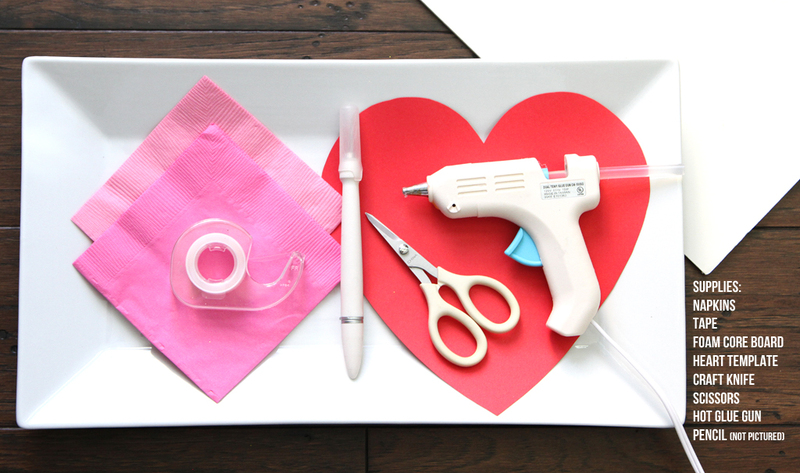 Pin this guide to your Valentine’s DIY boards.